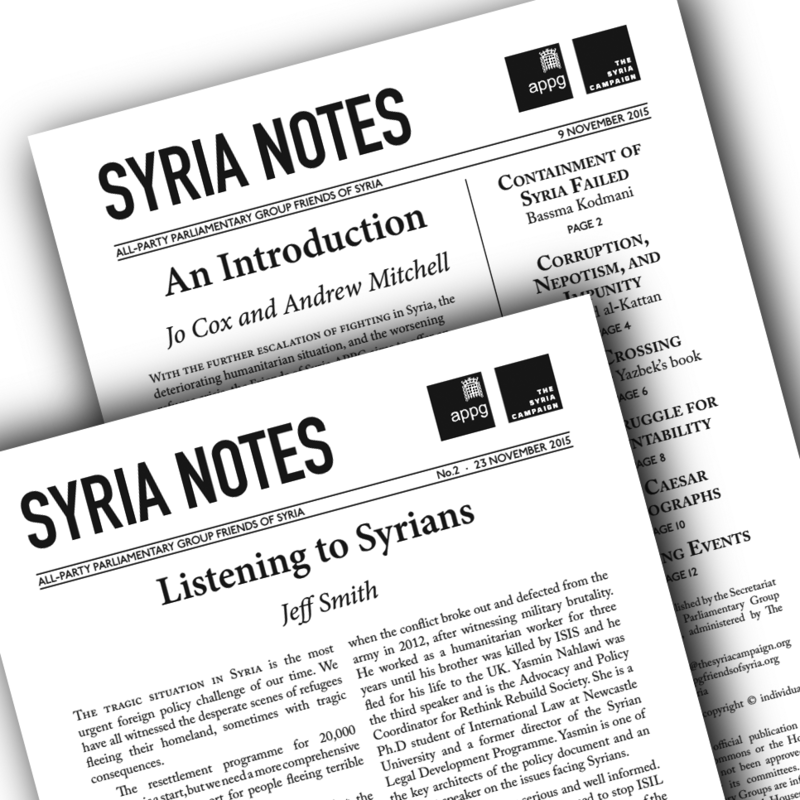 Here are some highlights from the first issues of our newsletter, Syria Notes. Most Syrians are fleeing from Assad, not Isis: 70% are fleeing the violence of the Assad regime and its allies (32% Isis, 18% Free Syrian Army, 17% Al Nusra, 8% Kurdish forces). Stopping barrel bombs would help them stay: 73% said barrel bombs were a threat to their personal safety. 58% said a no-fly zone would help more stay in Syria, only 24% said the same for increased aid. “The much-touted mantra of reaching a ‘political solution’ that keeps Assad in power belies the reality of a decayed governance system, ravaged by the rampant corruption that has plagued the country for decades,” writes Rashad al-Kattan. This article was first published by the Atlantic Council, 20 October 2015, as A Political Solution in Syria Needs to Break the Unholy Alliance. “Free rein when it comes to arrests is one of the ways in which the regime renders it possible for various parts of its security apparatus to enrich themselves,” writes Ansar Jasim, in a detailed account of how extortion of enormous sums from prisoners’ families has become the norm in Syria. This article was first published by Heinrich Böll Stiftung Middle East. The next issue of Syria Notes is scheduled for 7th December. Contact secretariat@appgfriendsofsyria.org to be added to our mailing list.